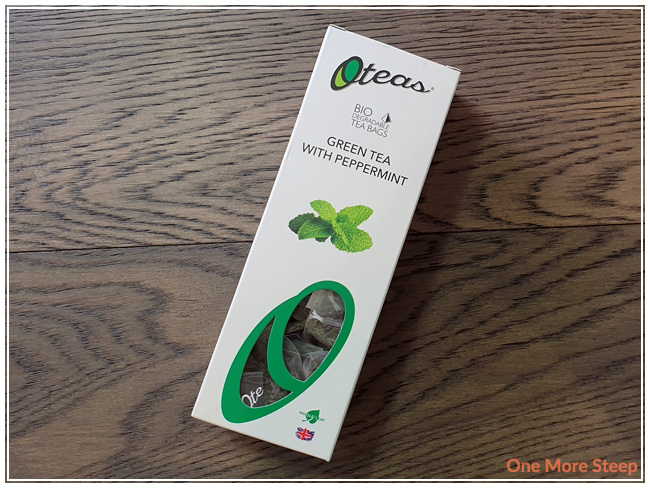 Oteas has provided me with Green Tea with Peppermint for the purposes of providing an honest review. Green Tea with Peppermint came in what is now a very familiar to me cardstock box. This one was plastic shrink-wrapped, which meant not plastic bag inside holding the tea bags. The tea bags are, again, biodegradable – which I think is so great because every little bit helps when it comes to the environment! The first thing I smelled when opening up this box was the peppermint (and more peppermint). I can’t really smell the green tea base, but that’s not too surprising given how strong of an ingredient peppermint (and any other mint) can be. Green Tea with Peppermint consists of: green tea and peppermint. Oteas recommends steeping Green Tea with Peppermint in 85-90°C (185-194°F) water for 2 to 3 minutes. My initial steep was in 85°C water for 2 minutes. Green Tea with Peppermint steeps to a dark golden yellow. 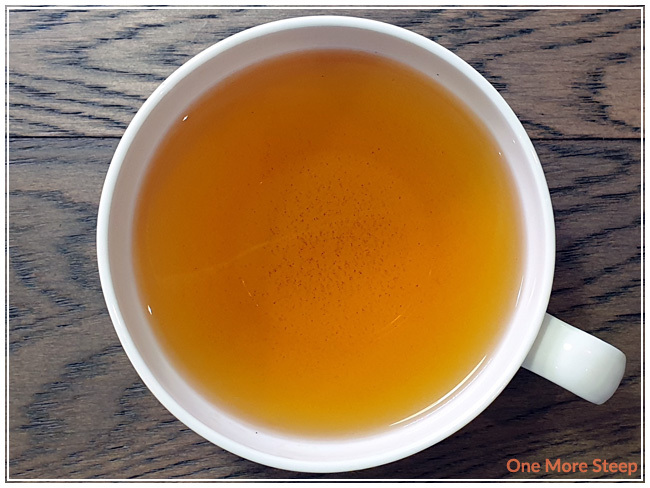 There’s a very obvious peppermint aroma from the tea, it’s very pleasant – although also makes me feel like I should be going to sleep soon because I do sometimes associate peppermint and other similar herbal infusions to be more of a sleepy time/bedtime tea than anything else. There’s a nice freshness to the blend that I found pleasant – there’s the brightness from the peppermint and it’s quite strong. 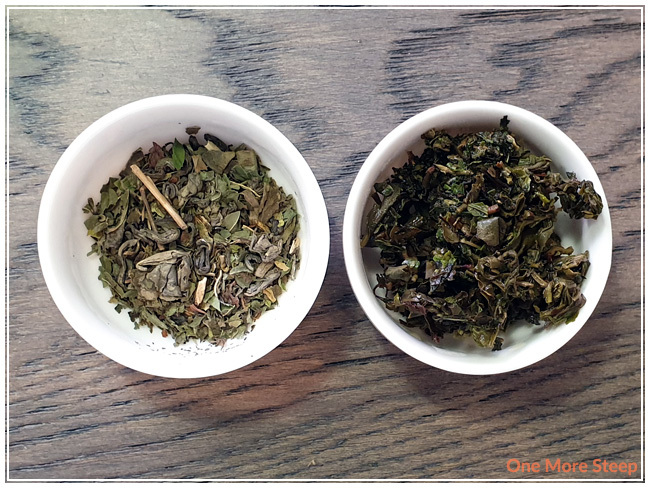 The green tea base is considerably lighter in flavour compared to the peppermint, but the mint is such strong aroma and flavour that I’m not overly surprised by that. 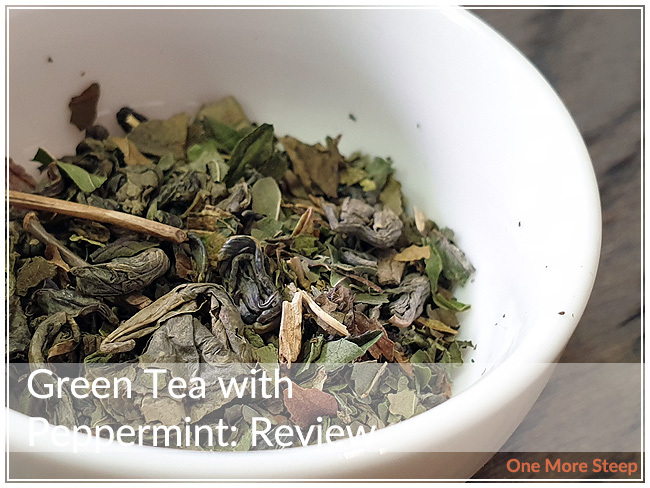 I resteeped Green Tea with Peppermint once and found that the flavour was very similar to the initial steep, just not as strong in peppermint, which is to be expected. It was pleasant and tasty. I liked OTeas’s Green Tea with Peppermint. I think if you’re a fan of peppermint tea, you’ll be really pleased with this one. 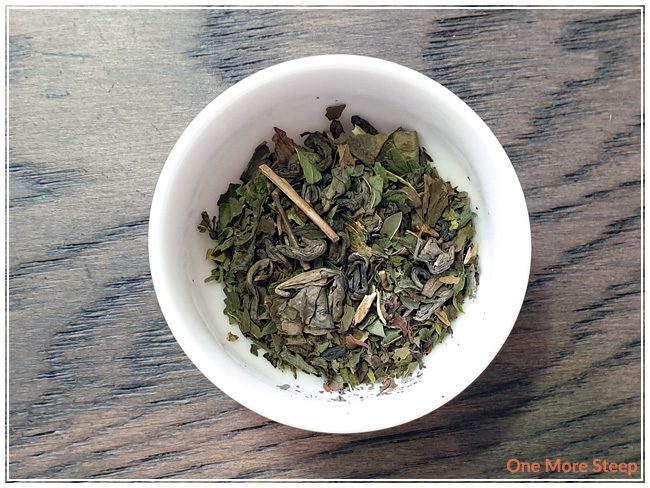 The peppermint flavour is really strong throughout and it does well for a resteep to get that extra flavour and value out of your tea sachet. I’m not a huge fan of peppermint usually, so it’s not likely to be a tea that I’m wind up stocking in my tea stash (and that’s the primarily reason for a lower score). I still think it’s really tasty and tastes as I had expected it to. I think if I was a fan of peppermint, it’d definitely be blend that I’d want to keep on hand.